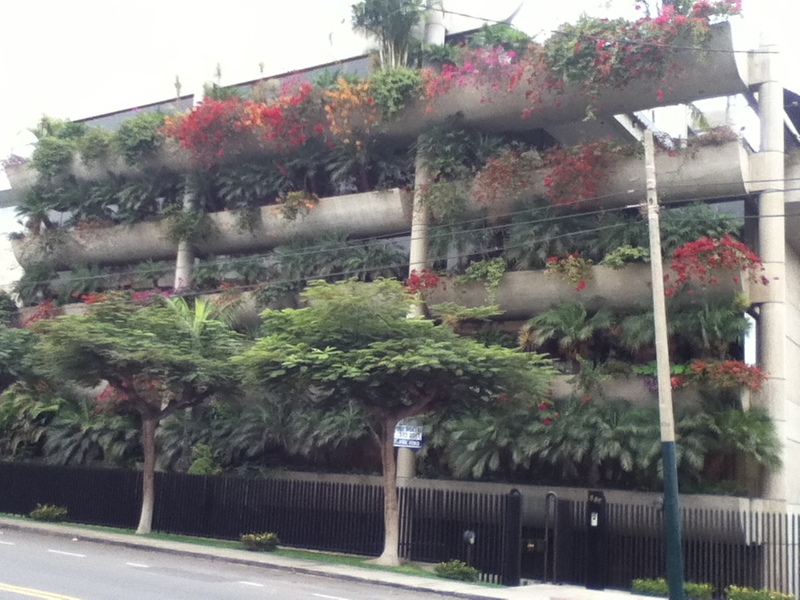 Having enjoyed the walk through part the leafy Lima suburb of San Isidro yesterday, I looked it up on the internet to see what else it had to offer. A huaca, that’s what. Amazing isn’t it. 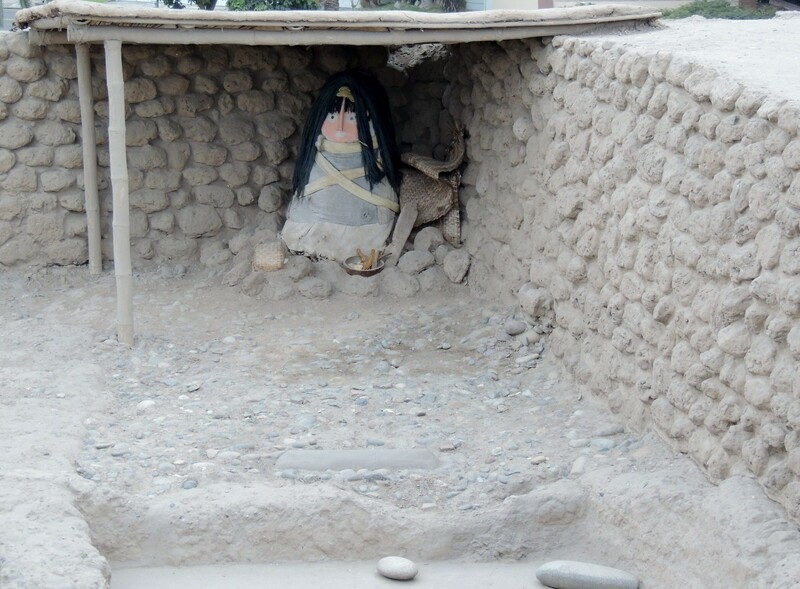 More than 61 years without ever seeing a huaca and then 2 within the space of a fortnight. This one is called Huaca Huallamarca and has been restored , although, apparently it differs quite a bit from the original structure due to the various stages of construction and destruction it has gone through in more than 2000 years. 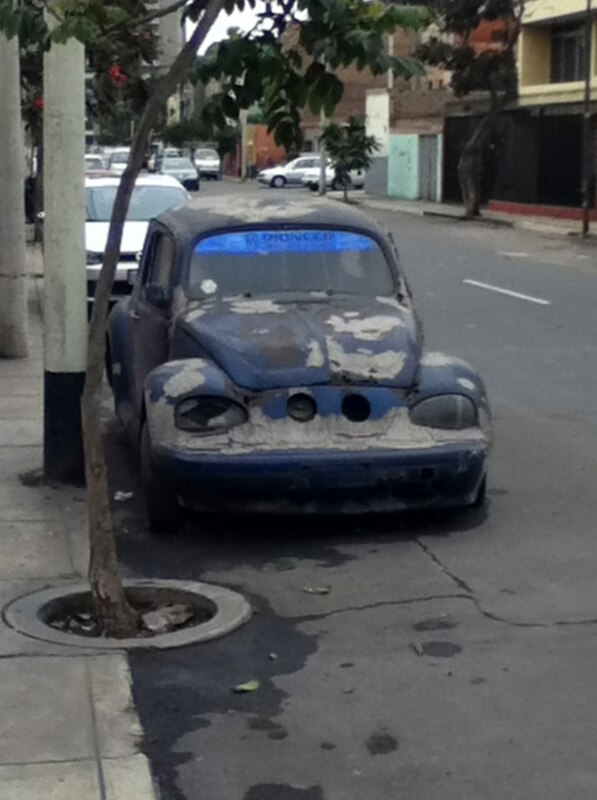 I decided to stick with the walking theme and left the hire car at home, it goes so well with the penthouse. I do not have a map of the San Isidro area but I had a good look at the location of the huaca online before leaving home. It seemed straightforward enough. Well, at least up until the point where I took a left turn where I should have taken a right. Realising quite quickly that I must have made an error and spotting a Starbucks nearby, I decided to take some well deserved refreshment and ask for directions. Two more mistakes there! A cappuccino cost me more than a full breakfast with coffee would elsewhere and the staff had no idea where the huaca was. The guy serving, spoke reasonable English so there was no communication issue, even though I had asked for directions in Spanish. Well, hooray for Wifi, as I did a quick search while waiting for my coffee to cool and found that I was less than half a mile away from my target. I had just taken a parallel road. 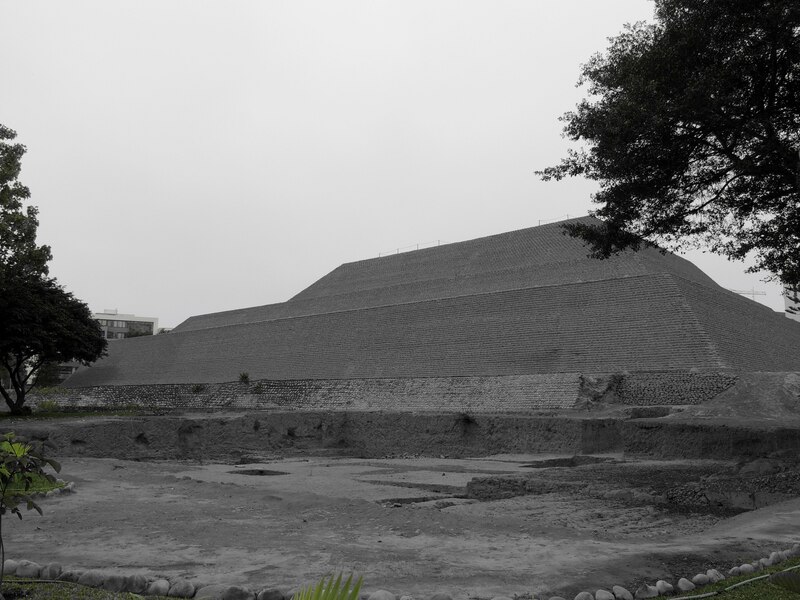 It is sad, however to think that something as big as the huaca, would go unnoticed by people. It is not as if they try to hide their buildings or camouflage them . 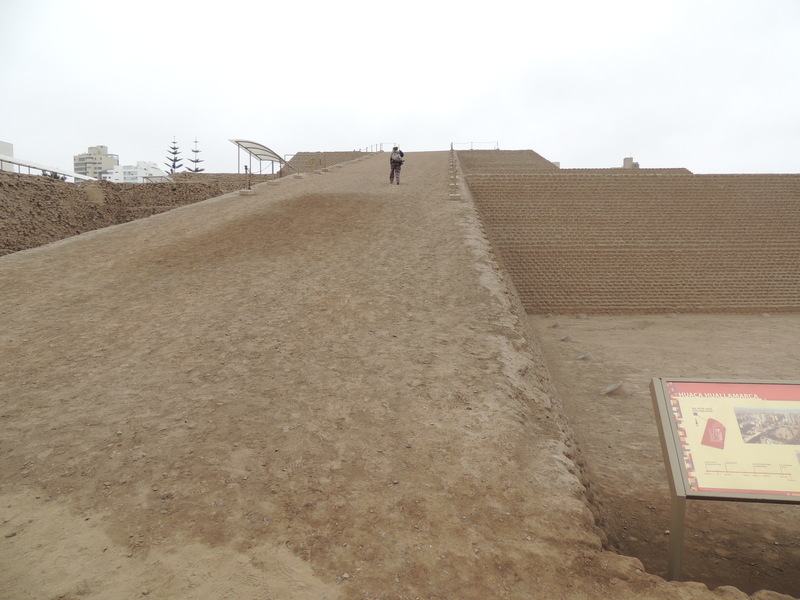 Ten minutes later I was at the huaca, looking at this enormous ramp that went from the ground to summit of the pyramid and thinking, ” this is so wrong, on so many levels”. Apparently the ramp has been put in such a way as to make it more tourist friendly. 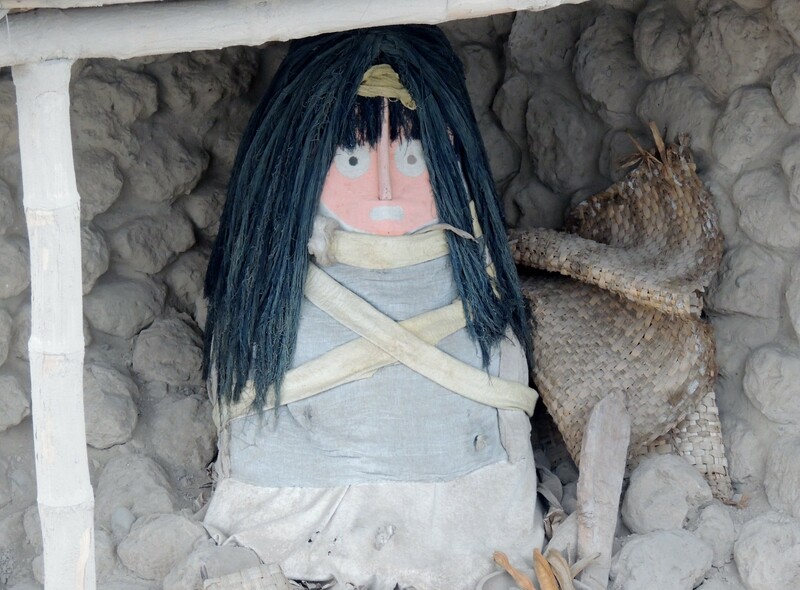 There is a small museum with some artifacts that managed to evade grave robbers and the like. 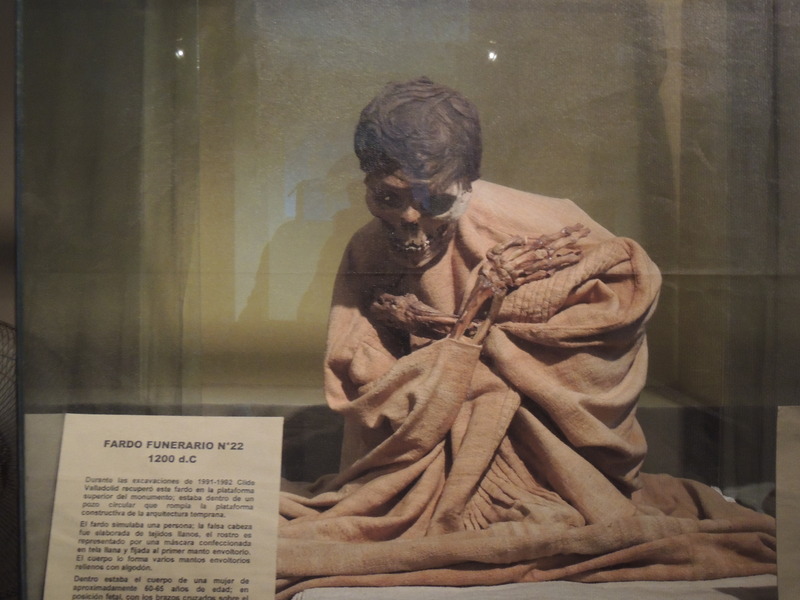 It also has a rather gruesome looking mummy. 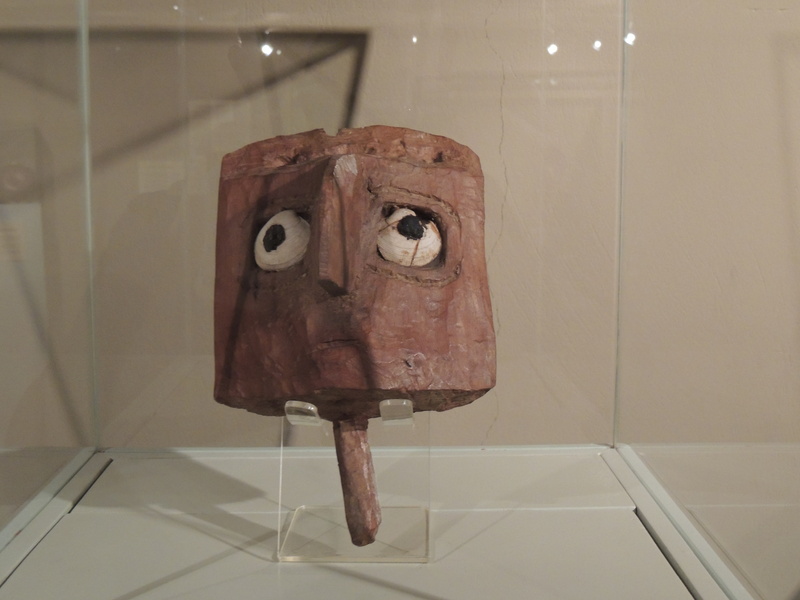 Extraordinarily, there was a wooden face mask which just has to be the original Spongebob Squarepants . Climbing the ramp, you get the opportunity to appreciate more fully the beautiful surroundings. A closer look maybe. It could be described as an ancient body bag with a wooden head placed on top. Every day an education. This entry was posted in Recent Activity and tagged Archaeology, Huaca Huallamarca, Lima, Peru, Pre Inca, San Isidro District Lima, South America. Bookmark the permalink. Thanks Toni. I do have a fondness for it myself.